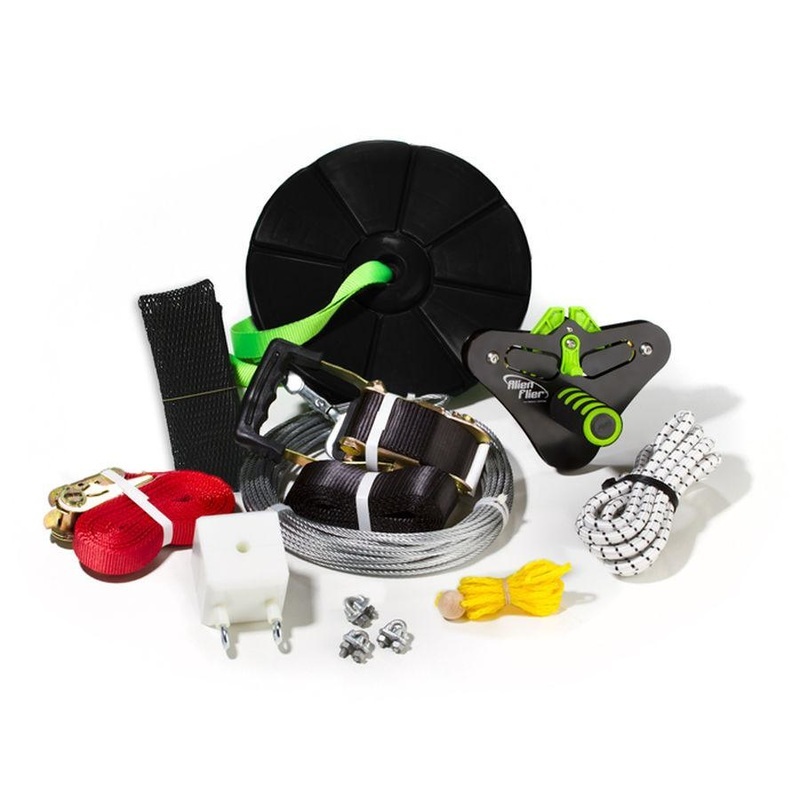 When choosing the right zip line kit you must consider what you will be using it for. Of course you're going to be riding it but in what conditions? Are you putting it over top of a lake? Is it for kids? Is it going to be strung up higher so you will need a platform and ladder to access it? Some people don't have the perfect sloping backyards and they WILL have to build a platform. Sometimes this is more fun because it creates anticipation as you climb to the top and have to release your body from the stand. I remember I went on a zip line in Myrtle Beach, South Carolina and the platform was probably about 100 feet up off the ground, meanwhile the zip line was probably 500 feet. I'm not even going to lie, it was scary- but i LOVED it. My son also when on it and thought it was one of the best times of his life. So even if you have to build a platform, don't be discouraged. If you do have the perfect sloping backyard you'll need to decided how long you want your backyard zip line. Many people choose the 200 foot zip lines just because they are pretty much the maximum amount of cable that one can fit in a standard backyard. Also, the longer the more fun! If you have smaller kids the 75 foot zip lines are good because you don't want your 4 year old flying down a 200 foot zip line. That's scary, unless per say they are a daredevil. So in a nutshell you have to decide exactly what type of property will be accommodating the zip line, as well as how long you want it. Hope this helped! The best zip line kits for kids are any zip line, pure a simple. Kids LOVE to zip line. "Why?" Do you ask? Because children have no fear. They live moment to moment, they don't have the same fears that adults have where they were about everything- bills, housing, work. They just want to have fun. The problem however with kids these days is they need extra thrilling experiences to keep them interested. With all of the new technological advances with IPADS and Xboxes they need to be stimulated continuously if they remain active. You don't see kids playing on playgrounds or hanging out riding their bikes anymore, because they've grown too lazy. The best way to get them out of the house and active is to buy a zip line. They will not only love it because it will be thrilling but because it is an exotic activity. Most people don't have zip lines in their backyards and the ones that do show a certain type of adventurous spirit. One that longs to be involved in exciting activities. When it comes to buying a zip line for kids there is only one answer: YES. It will keep them healthy, active, and happy. 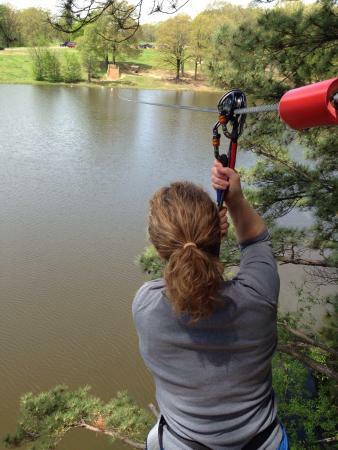 Check out this blog about The Health Benefits of Zip Lining. If you're wondering the best way to take care of your zip line once you buy it check out these tips. In the winter months you should dismantle your zip line and store it in a cool dry place. It is possible to leave your backyard zip line up throughout the winter but it will contribute to the wear and tear placed on your zip line. If you live in a place where the weather is more mild and the winter is quite short, you should be okay with leaving your zip line up. If you live in a place where rain is a constant you should invest in a tarp or some type of cover for your zip line trolley or ZLP Spring Stop. The good thing about the Alien Flier X2 zip line trolley is that it is able to pop on and off of the zip line easily. This allows you to bring it inside during harsh weather to prevent the wearing of the bearings inside. If you take good care of your trolley it will ensure that you have a smooth ride on your zip line every time. If you have a long zip line cable such as on a 200 foot zip line you will still want to invest in a removable trolley, the galvanized cable will not rust but it is the intricate parts that make up the zip line that are susceptible to the weather. For more information on zip line parts and their care check out these great blogs Common Zip Line Braking Methods and The Best Zip Line Trolleys on Zip Line Stop.